It was late Friday afternoon on the campus of Syracuse University. As I walked down the street, Bible in hand, a brisk November breeze whisked fallen leaves down the sidewalk -- the trees gently swayed against the partly cloudy, blue sky. By this hour most classes had dismissed for the day. The campus was nearly deserted as students were elsewhere preparing for their weekend. I felt it was time to call it a day, the conclusion of a fruitful week of ministry for my wife and I. For nearly a year we had been involved with campus evangelism, traveling across the U.S. to dozens of colleges to conduct street witnessing and evangelistic meetings. Married less than two years, these were adventurous times of faith for us. We had forfeited stable jobs and an apartment to answer God’s calling. Now we made our home in a humble 8 X 14 foot travel trailer and relied solely on the Lord for our financial needs, which He always met ... sometimes through the invitation to conduct a local church service, or perhaps from an unsolicited donation sent from friends or family. In Syracuse, however, this pattern changed. For some reason, God’s provision had not come and our finances had dwindled to almost nothing. That evening as we arrived back at our trailer parked in an empty lot, I tried to keep my panic to myself, but Jerri could see the worry on my face. Up to this point God had been so faithful to provide. But there were only three dollars left in my wallet, one can of soup in the cupboard, and we were more than a thousand miles away from family and friends. I felt like my back was against the wall -- I had no idea what we would do! After our meager supper, I sat near the window, quietly leafing through my Bible in the dim light. Tears streamed from my eyes. I began to wonder whether we were really called by God into this ministry. I felt discouraged, like giving up -- but then I experienced a profound thought. Give up for what else? What alternative do I have? Who else but God do I have to turn to? Just then my eyes fell upon a scripture passage -- one that I had often preached from. 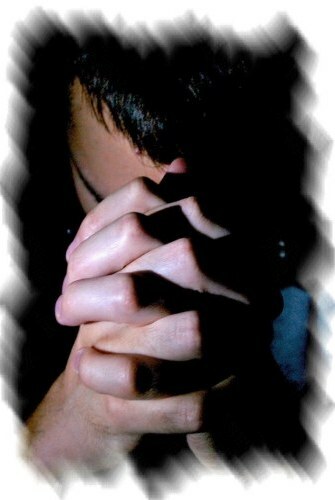 "The effective, fervent prayer of a righteous man avails much" (James 5:16). My heart was refreshed as I was reminded of God’s faithfulness to hear the earnest, impassioned prayers of His children. I realized it wasn’t time to be discouraged or to give up. When get tough and discouraging, it’s just time to pray with greater passion and determination... effectually and fervently! We had nowhere else to turn but to God, and had no other choice but to trust Him and pray until His help came somehow. And surely God would see us through this crisis. After all, the scripture says that David never saw the righteous forsaken or begging bread (Psa. 37:25), and the Apostle Paul wrote that God promised to meet all our needs (Phil 4:19). These and other passages strengthened our faith and confidence in God's promise to help. Encouraged, yet still burdened... that evening Jerri and I knelt at opposite ends of the little trailer to seek God with all our heart. We didn’t know what would lie ahead tomorrow, but we needed God’s help desperately, and were determined to pray with the tenacity of Jacob, who wrestled persistently with the Angel until he received his blessing (Gen. 32:24-28). Into the late hours of the night we prayed, until sleep finally overtook us. The next thing I remember is being awakened by an abrupt pounding at the trailer door. Groggily, I rubbed my eyes. From the window I could see the brilliant, orange sunrise behind the city skyline. A fresh, white blanket of snow now covered the ground. Again the knocking came. I made my way to the door with some apprehension. We knew no one there, nor had any idea who this could be. "Who is it," I said meekly. The mystery voice replied, "I’ve got something for you." Cautiously, I opened the door... and there stood a short man with a funny sort of grin on his face and two brown grocery bags in his arms. To my surprise, he quickly shoved the bags in the doorway, then turned and pranced off through the snow without saying a word. By this time Jerri had joined me. Neither of us were sufficiently awake to fully assess what was going on. Still stunned, we sat down and began to look through the bags. To our amazement there was bread, meat, canned goods and soups -- not just any variety, but several cans of my favorite soup. Ironically, these all were the same items and brands we normally purchased. There was also a can of shaving cream -- the same brand that I always buy. Who knew that I had just used my last ounce of shave cream the previous day? No razor blades were in the bag. Who could know that I had an over-abundant supply of blades? And finally in the bottom of one sack, there was an envelope of cash, which I discovered later to be the precise amount to fill our gas tank, that took us to our next destination. On that wintry, Saturday morning in Syracuse, this young preacher and his wife wept in the doorway of our trailer, giving thanks to God for hearing and answering our prayer. No one in Syracuse, nor on this planet, knew anything about our need -- except our Lord God almighty. And it was He who dispatched the little, grinning man... perhaps an angel, to minister to us in our hour of need. For many years, this experience has inspired our hearts and served as a precedent for many years of faith. We have come to trust the faithfulness of our Lord Jesus to answer the earnest prayers and meet the needs of His followers. Indeed, when all else fails you, don’t ever be discouraged or give up. It’s time to pray... effectually and fervently! This article (VL-611) is copyrighted © by Dr. Dale A. Robbins, 1990-2019 and is a publication of Victorious Publications, Grass Valley, CA - Nashville, TN. Unless otherwise stated, all scripture references were taken from The New King James Bible, © Thomas Nelson Inc., 1982. You may download this article for personal use as long as you retain credit to the author. Obtain permission before reproducing copies for any reason, by filling out our simple use permission form. Many of our writings are also available as free pdf tri-fold pamphlets, which can be downloaded for reproduction from our Online Catalog. For media reproduction rights, or to obtain quantities of this title in other formats, email us. If you have appreciated these online materials, help us reach the world with the Gospel by considering a monthly or one-time tax-deductable donation.